Celebrating the launch of Hay Festival Segovia 2018, this tour starts beneath the Garaizabal sculpture at the Puerta de San Martín and visits each of the venues in this year's visual arts and architecture programme. At each venue you will be welcomed by the artist or the curator, who will guide you through the exhibition. In La Alhóndiga, curator Aser Álvarez will guide you through the exhibition Sisyphus Confused (Sísifo confuso) by Francisco Leiro. At La Casa de La Lectura, Miguel Panadero will show you his artworks. On the ground floor of the Palacio Quintanar, wonderful photographs by the Brazilian photojournalist Ricardo Teles are on display as part of Enchanted. Upstairs at the palace, photographers Harald Hauswald, Tomasz Tomaszewski and historian Petr Blažek will guide you through their photographs. At the Colegio de Arquitectos of Segovia, you will have the opportunity to talk with the president Susana Moreno who will present the collective Danish exhibition Architecture for people. 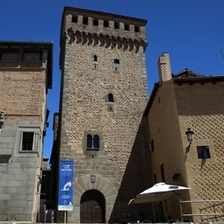 At the Torreón de Lozoya, artist Eduardo Arroyo will show his wonderful exhibition Tryptych: Art, Literature and Theatre. And to round off the tour, Casa de la Moneda will host the co-organizer of Kate Daudy's installation Am I My Brother's Keeper?, Javier Gila. The evening will feature acoustic music from the Creativity Centre of IE University, which presents three amazing artists and students: Moreen Iminza Mbwaya from Kenya, David Meshaka from Lebanon and Jacob Axel Peter from Sweden. 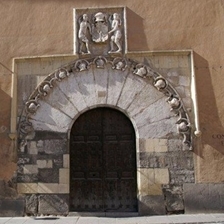 Coorganised with AC/E (Acción Cultural Española), Ayuntamiento de Segovia, Diputación de Segovia, Fundación Siglo Para el Turismo y las Artes de Castilla y León, Junta de Castilla y León, Torreón de Lozoya Museo Fundación Caja Segovia, Grupo Ink. Arraianos pro, Embajada de Brasil, Fundación Cultural Hispano Brasileña, Eunic, British Council, Goethe Institut, Instituto Polaco de Cultura, Centro Checo de Cultura, Embajada de Dinamarca en España, Centro de Arquitectura Danés, Ministerio de Cultura y Asuntos Exteriores Danés, Colegio Oficial de Arquitectos de Castilla y León (Coacyle Segovia). Aida, Real Casa de la Moneda. 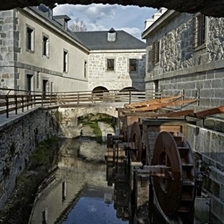 In collaboration with Bodegas Protos, IE University and Galería Álvaro Alcázar.